Do you suffer from dry skin, allergies, dry eyes, asthma or coughs during the winter? A cool mist humidifier could be the solution to your problems, helping to create the perfect level of humidity for your home. 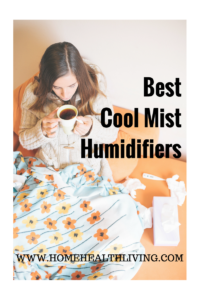 Home Health Living has researched and reviewed the best cool mist humidifiers for 2018, sharing information about the different options available, and what to look for when deciding on which cool mist humidifier to buy. 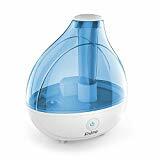 We’ve divided this review up into different categories- best cool mist humidifier for babies; best cool mist humidifier for asthma and for allergies; best cool mist humidifier for bedroom use and others. What is the difference between an ultrasonic and evaporative cool mist humidifier? Vicks humidifiers are some of the most well-known and popular humidifier brands on the market, and the starry night cool moisture humidifier is a great option for a child’s bedroom. The Vicks humidifier’s water tank has a 1-gallon capacity (3.7 litres) that runs for between 18 to 24 hours before needing to be refilled. It is recommended for a medium-sized bedroom. The Protec filter is an anti-microbe treated filter to help prevent the growth of bacteria and mold. This can be a problem in other humidifiers, where bacteria growth in the water means that it is being dispersed into the air, contributing to health problems and allergies. This is not an issue with the Vicks cool moisture humidifier. The unit is a self-regulating unit, meaning that it controls the level of mist output according to what is required in the room at a given temperature. It has 2 speed settings. 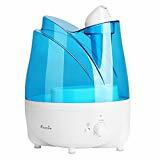 The Vicks humidifier also includes a Vicks VapoPad scented pad heater so that you can use it with a Vicks VapoPad that emits a soothing menthol or lavender scent. There is a sample pad included when purchasing the Vicks cool moisture humidifier. But what we love most about the Vicks Starry Night cool moisture humidifier, and what many other parents love too, is that it has an in-built projector which projects images of stars onto your child’s bedroom ceiling. The projector is independently controlled. 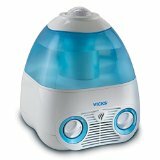 Vicks is a very popular brand with families, which is why we’ve chosen the Vicks VUL520P as one of the best cool mist humidifiers for babies and kids. It’s filter-free so you don’t have to worry about buying expensive filter replacement cartridges. It has a quiet operation which makes it great for a baby nursery or kids’ room, and babies love the SoftGlo night light. There’s a humidity control and the unit’s tank has a 0.5 gallon capacity. It operates for up to 20 hours on the low setting. The Aennon cool mist humidifier is a popular seller on Amazon. It has a 2.8 liter water tank capacity and can operate up to 20 hours on the lowest setting. It has a whisper quiet operation making it ideal for a bedroom or nursery. There are 7 colored LED lights which you can choose to leave on or off. There’s an automatic shut off feature for when the unit runs out of water so that you don’t have to worry about it overheating. What we like about this cool mist humidifier is that it comes with a bonus e-book, e-course and scented sachets. 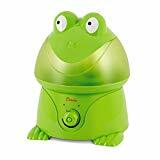 Kids love animals, which is why the Crane USA frog filter-free cool mist humidifier is a huge hit with kids! There are multiple animal designs to choose from. It comes with a 1-gallon water tank and can operate up to 24 hours on a low setting. It’s anti-microbial and doesn’t require a filter however it’s best to use filtered water in the unit to prevent white dust. The unit has an automatic shut off feature once it runs out of water. The Honeywell cool mist humidifier is a stylishly designed humidifier perfect for bedroom or living room use. Its water tank has a 2-gallon capacity (7.5 litres) that operates for up to 18 hours using the high setting or 24 hours on the low setting, before needing to be refilled. It uses a self-regulating evaporative system, which means that it automatically adjusts the level of output according to how much moisture the air in the room can hold at a particular temperature. There are 3 settings available to adjust the output level and the sound. The Honeywell cool mist humidifier has a patented germ-killing process using an ultra violet light that kills up to 99.9% of bacteria, mold, fungus and viruses found in water, making the air cleaner and healthier for you. The water passes from the water tank into the UV path, where it is exposed to UV light that kills any bacteria or mold found in the water. The Honeywell cool mist humidifier also uses a Protec anti-microbial filter. One of the great things about the Honeywell cool mist humidifier is that it results in no white dust. This is because the Honeywell is a type of humidifier that uses a wicking filter to evaporate the water, meaning that the air coming out contains pure water without mineral or other contaminants. The Honeywell cool mist humidifier is great to use in the bedroom as it is up to 25% quieter than other evaporative humidifiers. As with all other cool mist humidifiers, regular cleaning is important. The Honeywell humidifier is very easy to keep clean, and it has components that are dishwasher safe. It has an easy to carry, durable water tank that sits flat- this makes refilling the water tank very easy and trouble-free. The water tank has a wide opening, making it easy for you to clean inside the tank. If you’re looking for a cool mist humidifier suitable to use in a living room, the Holmes Cool Mist Comfort Humidifier is a great option. It is an evaporative system, so no mist is visible. It has a 1.5-gallon water tank capacity (5.6 litres) and has a 2.4-gallon output (9 litre) that lasts up to 48 hours before needing to be refilled. This is a great humidifier for a large room. The unit includes a humidistat that allows the unit to control the level of output according to the amount of humidity required. The LCD display has a 16-hour programmable on and off timer. There are 4 output settings: high, medium, low and auto. 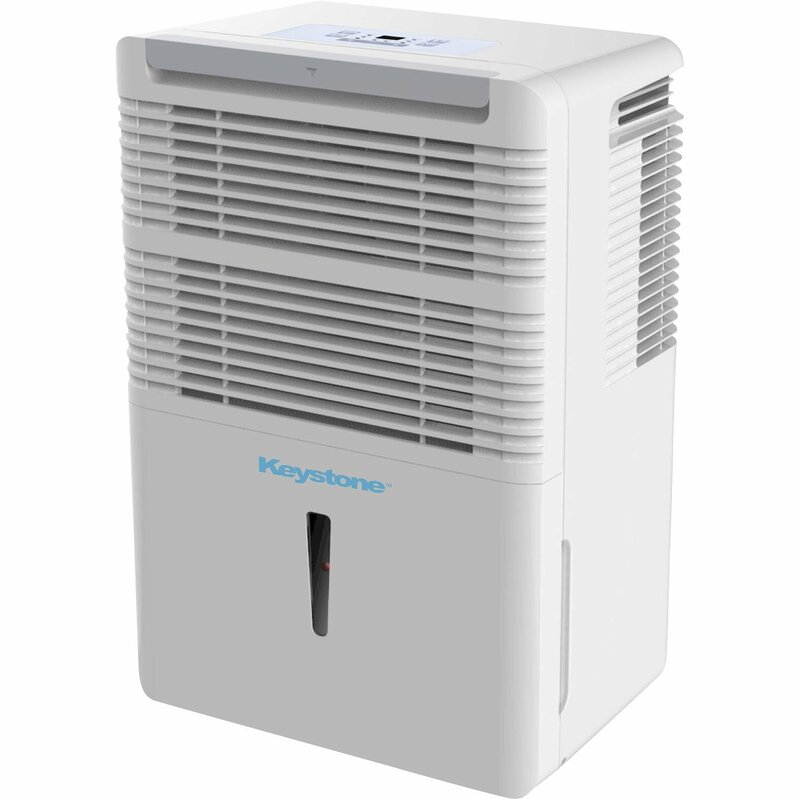 The Honeywell humidifier’s filter is an antimicrobial filter that is also treated with baking soda. There is an automatic filter monitor that lets you know when the filter needs to be changed. If you’re searching for an Air O Swiss humidifier, then you’ll need to know that Air O Swiss has changed its name to Boneco. Air O Swiss has always been a very popular and dependable brand, which is one of the reasons why we have chosen the Boneco warm or cool mist ultrasonic humidifier as being one of the best cool mist humidifiers of 2019 (even though it gives the option of warm or cool). The Boneco warm or cool mist humidifier allows you to choose the option of warm or cool mist. There is a digital display that allows you to control the indoor humidity level. The unit has an auto-mist technology (known as auto mode) which controls the level of humidity to match the temperature in the room. One of the things we like about the Boneco humidifier is that the mist can be dispersed in two directions, as there is a double jet nozzle. This gives a more even dispersion, and maximises the area covered. Output level is up to 3.5 gallons per 24 hours (just over 13 litres). The unit is suitable for use in a room of up to 650 square feet. There is a programmable hygrostat in the unit, which measures and lets you know the humidity level in the room. You can compare the performance of the hygrostat if you already own a digital hygrometer, such as the ones mentioned in this post. There are 3 performance levels, and a sleep mode which reduces the noise of the unit which is great for those who are light sleepers. The digital display also features practical reminders so you know when to refill the water and you are reminded to clean the unit. Additional accessories that come with the Boneco humidifier include a hydro cell to keep the water fresher for longer, and a demineralization cartridge which helps prevent limescale, something that is typical of other humidifiers. There is also an Ionic Silver Stick which uses the antibacterial properties of silver to keep the water quality at a high level. We’ve chosen the Kedsum as one of the best cool mist humidifier without filter because it gives you the option to use it as a humidifier or an essential oil diffuser. The unit has a 2 liter/0.53 gallon tank capacity and can operate between 8-12 hours before needing to be refilled. There’s an auto shut off feature once the water level drops to a certain amount. You don’t need to worry about switching it off when it is empty. The mist output can be adjusted to whatever level you prefer- the lower the level, the longer the Kedsum operates for. It has a 7-color LED night light and has whisper quiet operation. The PurSteam ultrasonic is the best cool mist humidifier without filter. It has a large 2.2 liter water tank that gives you up to 17 hours of continuous use before needing to be refilled. It has an automatic shut off feature that shuts the unit when it is empty. An indicator light lets you know it’s time to refill the tank. There’s also a lovely night light. The unit has a variable dial so that you can adjust the output levels. It can emit up to 350ml of moisture per hour of use. Why have we chosen the Pure Enrichment as the best cool mist humidifier for bedroom use? It operates for up to 16 hours before needing to be refilled. This makes it the perfect cool mist humidifier to use overnight while you sleep- you set and forget! The unit has an auto shut off feature so it switches itself off once it runs out of water. The water tank has a 1.5 liter capacity. There’s an optional night light and the unit has whisper quiet operation which is perfect for using while you sleep. We also like that Pure Enrichment offers a 2-year warranty! The Everlasting Comfort Cool Mist Humidifier is one of the best cool mist humidifier for bedroom use. As it’s name suggests, it’s everlasting! It can operate for up to 50 hours continuously! The unit has a large water tank capacity of 6 litres/1.6 gallons! You could leave the unit operating most of the weekend without needing to refill the water tank. There’s an auto shut off feature for when the tank is empty. It has an essential oil tray so that you can use your favourite essential oil blend. It has a 360 degree rotating nozzle and an adjustable mist output. No filters are required to use the Everlasting Comfort! Cool mist humidifiers are either ultrasonic or evaporative systems. An ultrasonic humidifier creates vibrations that alter the molecular structure of water. This turns the water molecules into fine particles which create a mist when dispersed. On the other hand, cool mist humidifiers that are not ultrasonic are an evaporative system. An evaporative system consists of the water tank/reservoir, a wick and a fan. The wick is made of a porous material, so that it can absorb water from the water tank. The wick holds and draws the water up to the fan, which blows air onto the wick to help the water evaporate. The amount of water that evaporates depends on the existing humidity in the room. The more humid a room is, the lower the evaporation rate. The less humid a room is, the higher the evaporation rate. This is why an evaporative system is “self-regulating”- it can control the output according to the humidity in a room. There are a number of differences between an ultrasonic and an evaporative cool mist humidifier that you need to consider when choosing the best cool mist humidifier for your own needs. As with all humidifiers, you need to consider both the upfront purchase cost and the ongoing cost. Generally, ultrasonic cool mist humidifiers are more expensive to purchase than an evaporative cool mist humidifier. Ongoing costs really depend on the model itself, and not whether the humidifier is an ultrasonic or evaporative humidifier. This is because some ultrasonic humidifiers don’t use filters, while others do. And while evaporative cool mist humidifiers traditionally don’t use filters because of the wick, some now do include an anti-microbial filter in addition to the standard wick. The important thing to consider is whether or not there is a filter- if there is, you need to factor in the cost of regular filter replacement. An ultrasonic humidifier is quieter than an evaporative humidifier, even when the evaporative humidifier is on a low setting. This is because an ultrasonic cool mist humidifier produces ultrasonic sound waves. These sound waves are at a frequency higher than what we can hear. Evaporative cool mist humidifiers are louder because they have more moving parts, and the fan creates more noise. 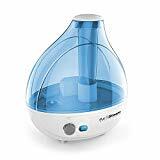 So if you are wanting to use a humidifier in your bedroom and are worried about the noise waking you up, it may be best to choose the best ultrasonic cool mist humidifier. The fan in an evaporative humidifier will likely disturb your sleep! Many people complain about white dust from the use of a humidifier. The white dust is actually the minerals found in the water, and is an issue if you are using an ultrasonic cool mist humidifier, especially if it does not have a filter. The amount of mineral deposits in your water depends on how hard your water is. Hard water contains a higher level of minerals. An ultrasonic cool mist humidifier without a filter ends up dispersing the minerals in the air along with the mist, which ends up as white or grey dust landing on your furniture and other parts of the room. One way to overcome the issue of the white dust is to use distilled or reverse osmosis water. To find out more information about reverse osmosis, you can read our post about the best reverse osmosis water filters. The other option is to purchase distilled water. 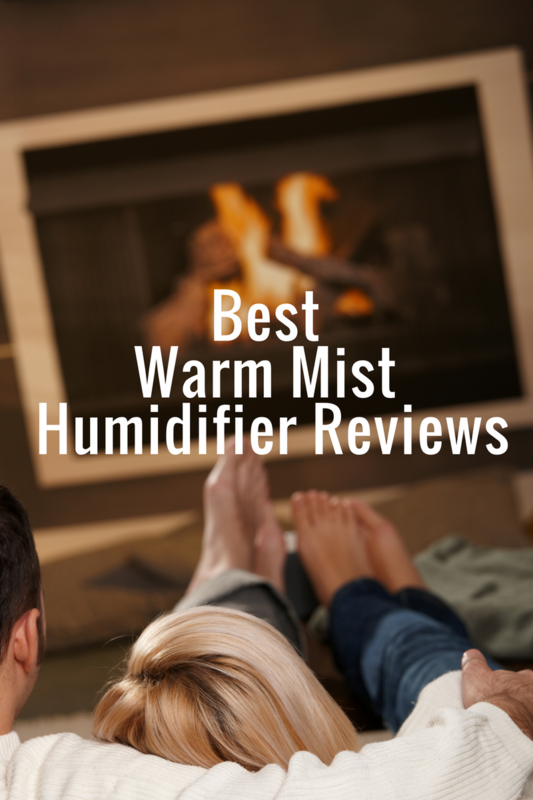 While dry air is very common during the colder months, if you live in a climate that is dry year-round, then you’ll probably need to use a humidifier throughout the year. And if it’s already hot and dry, a warm mist humidifier doesn’t make sense. Why add more warmth to an already warm room? Some people may prefer a warm mist humidifier because they believe a cool mist humidifier would decrease the room temperature. However, the mist temperature only changes a room temperature slightly. A cool mist humidifier disperses room-temperature mist, not cold mist. And if it’s winter when you’re using your humidifier, it’s a safe bet that you’re also using a heater. A humidifier isn’t strong enough to impact on the temperature in a significant way, so there may not be a real need to use a warm mist humidifier to keep the temperature steady and warm. A warm mist humidifier uses more energy than a cool mist humidifier, because a heating element is used to heat up the water. On the other hand, a cool mist humidifier uses ultrasonic technology to create vibrations in the water, which transform the water molecules to a fine mist that is dispersed. A cool mist humidifier can also disperse mist over a larger area than a warm mist humidifier can. So if you are wanting to save on energy costs, then a cool mist humidifier may be a better option. 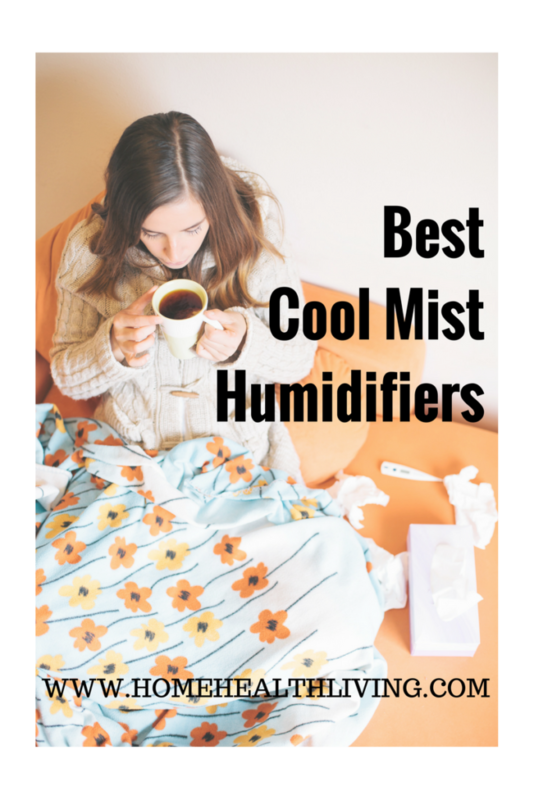 A cool mist humidifier is a great option for people wanting to use a humidifier year-round, without concerns about significant changes in room temperature. It’s also a great choice for those who want to save on energy costs, and avoid the issues associated with warm water being a breeding ground for bacteria, mold and germs. Issues with ultrasonic cool mist humidifiers without a filter can be overcome by using distilled water or water from a reverse osmosis system. If you are unsure about whether to choose a cool mist or warm mist humidifier, you also have the option of a humidifier such as the Boneco humidifiers that have both the warm mist and cool mist options. Did you find this post informative? Pin it and share with others! Disclaimer: This post contains affiliate links. Purchasing via these links may result in a small commission being paid to Home Health Living at no extra cost to you. Thank you for supporting our family!